I found the gasket material I was looking for from www.dynamicpropellers.com out of Washington state. Good service. Need help finding the gasket that goes between the air scoop expandable duct to the airbox for the carb. The part number in my parts manual is 0750149-32 called a seal. When I performed my first annual on my 182Q that I purchased last year I found the gasket, or should I say a home made gasket, that was in bad shape. Even though the gasket wasn't sealing the entire flange area there wasn't much dirt getting in the oil per my UOA. 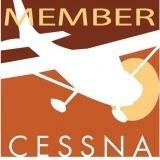 I operate off my grass strip at 2TN7 in Tennessee and want a good seal to keep the intake air as clean as possible.. If I can't find one I will have to make one.